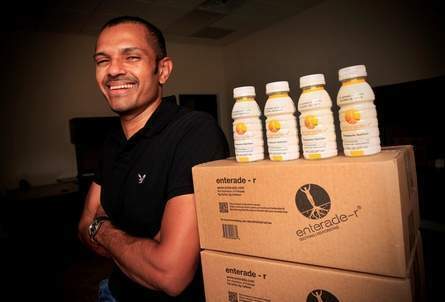 Hari Thrivikramji the co-founder and CEO of Enterade USA LLC, a company focused on health, nutrition and wellness as well as benefiting cancer patients undergoing radiation and chemotherapy joins eHealth Radio and the Health and Nutrition Channel. What is Enterade USA LLC? Tell us how Enterade-R benefits cancer patients undergoing radiation and chemotherapy? Where did the idea to create a medical food specifically for radiation exposure come from? Where can people get more information and purchase Enterade-R? Hari Thrivikramji is the co-founder and CEO of Enterade USA LLC. He received his MD from the University of Kerala, India, his MBA from Thunderbird, USA and his MSc in Finance in London Business School, UK.